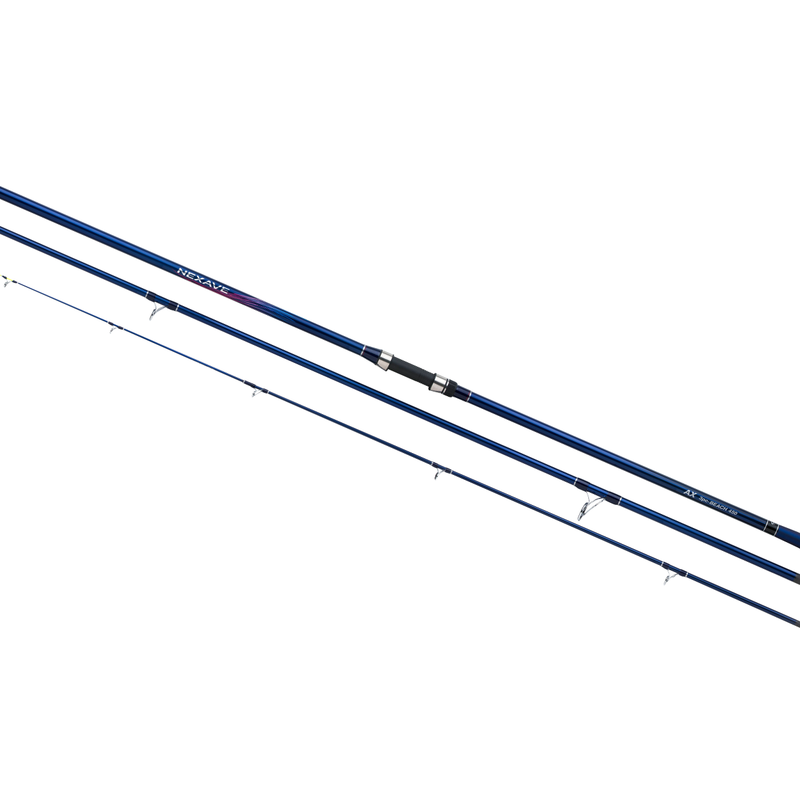 The Nexave Surf (3PC) is new in the surf-rods family. It is a mid-segment rod with excellent casting capabilities and beautiful looks. The 425 models have plate reelseats, while the 450 models have DPS reelseats. It's built to cast big distances, while at the same time keeping good bite detection. The range contains 7 SKU with BX models (up to 225 grams CW), CX models (up to 200 grams CW) and even a DX model (up to 150 grams CW). The tips are either tubular (hollow) for extra far distance casting or solid for a better bite detection.